With the prospect of legalized sports betting on the horizon, how does the game of golf get affected by this news? For one, golf betters will have greater access to put action on their favorite players or players who’s games fit the particular course on tour that particular week. Being able to sit at a sports book and watch golf can bring new people into the game and expand golfs reach into new populations. New to golf betting or wanting to get into it? Check out these small tips to help get you started. Yes, this should be automatic but taking a look at odds and payouts can be a good way to make a bet. When you know that someone who has worse odds than the tournaments favorites coming into the week has been playing well, always take a look at what a small bet can payout. When I am looking at wagering on a tournament, I always take a look at that “sweet-spot” range of the 20-1 to 50-1 odd players. Although the propensity of them to win regularly may be lower, the payout will be a lot better than taking the favorites. What a lot of new golf betters don’t realize is that you can bet on things that don’t require just picking the tournament winner. Check out the ability to pick the low score of 3 players on Thursday and Fridays rounds. Betting on this can be a really fun way to just place a single bet on the low score of three players. If you see that one player has been getting off to hot starts in tournaments, you may find some luck in taking them vs the two others in their groups. What a lot of people do as well as focus their effort toward prop bets. 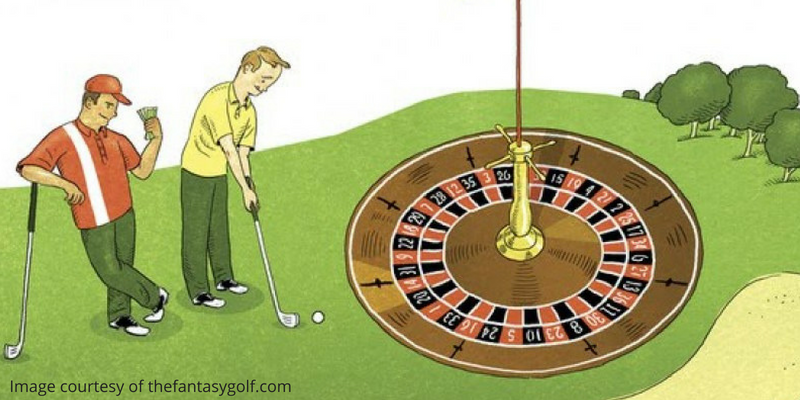 Betting whether there will be a hole in one, double eagle, playoff etc can be great ways to get into the action without having to pick the winner. Another great option for getting your picks in would be sites like DraftKings. Picking players to perform well across the board against others is a lot of fun and gives some excitement on Sunday if a few of your picks are in the mix. Just picking your favorite golfers isn’t enough sometimes. What you really need to look for is how players are performing heading into the week. What did they do the week before? Did they play this event in the past/how did they finish in the past? Knowing this information coming into the week can be crucial to give yourself the best chance to pick the right people. Having more than 100 players in the field week after week, it is really hard to always pick the right outcomes in any particular tournament. When you decide to place wagers on golf you always have to know that one shot can change the outcome of a tournament and everything can change based on weather and other outside factors. Whenever you place wagers on sports it is really important to know your limits and only bet what you can be willing to lose.